With XEOMIN® from our experienced plastic surgeon in Orange County, you can reduce the appearance of frown lines, crow’s feet, wrinkles, and other signs of age for a more youthful and refreshed look. XEOMIN® is a non-surgical, injectable procedure that can renew your appearance and have you back to normal daily routines immediately after treatment. 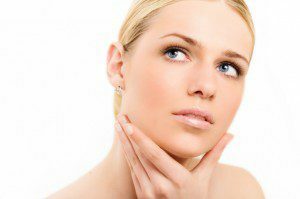 While XEOMIN® has many similarities to BOTOX® Cosmetic injections, there are also some important differences. BOTOX® Cosmetic is protein-bound, which may sometimes lead to a tolerance that is built up with continued use as the body’s immune system begins to recognize the foreign proteins. If the immune system takes more and more of those molecules, it can ultimately cause a more frequent need for re-injection of BOTOX® Cosmetic in order to keep the aesthetic results going. XEOMIN® is not protein-bound, which makes it less likely that a resistance to treatment will build up over time. XEOMIN® can effectively minimize signs of facial aging with natural-looking results. The injectable solution is composed of a diluted form of botulinum toxin type A, which temporarily relaxes muscles in the target areas. Muscle contraction is often what causes wrinkles to appear. The injections are performed using a very fine needle in the treatment area; a numbing agent can be applied before injection to make sure you have the most comfortable experience possible. The entire XEOMIN® procedure usually takes only about 15 to 30 minutes or less, depending on the size and number of target areas. There will likely be some temporary mild swelling and redness around the injection sites, but this often fades quickly and can be covered with makeup. Most patients do not require a recovery period after treatment with XEOMIN®, and they typically are able to resume daily activities immediately after the procedure. XEOMIN® can make the skin in the treatment areas appear much smoother and give you a more youthful appearance. Results can last up to four months, and the effects of XEOMIN® can be maintained with occasional follow-up treatments. XEOMIN® is one of the most advanced injectable procedures available and is quickly becoming a very popular treatment at our practice. If you would like more information, or if you would like to schedule a consultation with Dr. Semira Bayati to discuss your goals, please contact us today.